Day 1: Fes - Midelt - Erfoud - Merzouga - Erg Chebbi We will pick you up from your Riad/hotel in Fes at 8:00 a.m, We leave for Midelt through the Mountains and the cedar forest of the middle Atlas, passing by Ifrane, a charming ski resort and Azrou town, an important handicraft centre specialised in the work of cedar wood. We arrive in Midelt for lunch. At the afternoon we will drive to Erfoud, then into the desert of Erg Chebbi with high sandy Dunes. We arrive in Merzouga, Night & breakfast in the hotel. After breakfast, We will make the tour of Erg Chebbi dunes. On our way, we will visit the village of KHAMLIA, a Moroccan village, but inhabited by black people. The visit aims to attend their performance on Gnawa Music. 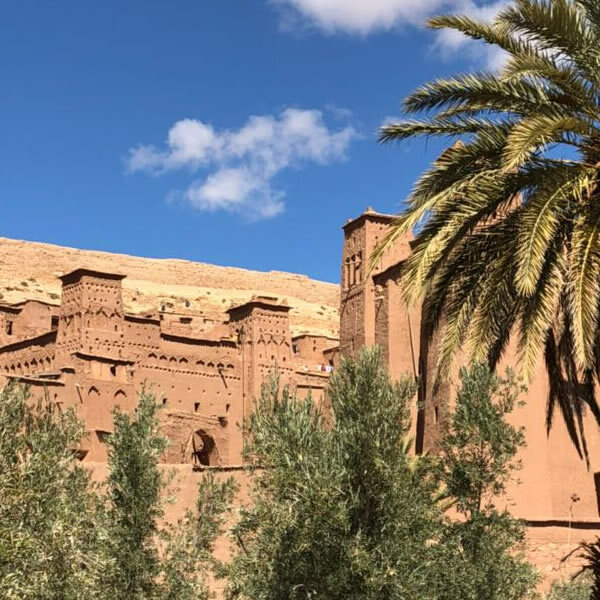 We visit the Oasis of Merzouga which preserves an old system of irrigation, then orientation to Rissani to explore ancient Ksours and Kasbahs. After a local and typical lunch, we drive back to the hotel around 4:00 p.m. Once there, we change our car with friendly camels to depart in a camel trek to the golden dunes of Erg Chebbi. You will spend your night in a bivouac (camp) and enjoy Berber music, before going for a peaceful night under a camel hair made nomad tent. After Sunrise and Breakfast in Sahara desert, we return by camels to the hotel for shower, then for departure. En Erfoud, we experience the treatment of fossilized stones and marbles, before continuing between palm groves. Stop for lunch and then take a short walk in the Todra Gorges, before joining the Dades valley where the overnight will be spent in a hotel. Today, We will take a short walk in the gorges before departing for Marrakech. We will follow the Dades Valley through El Kelaa Magona, the Valley of the Roses and the the road of a thousand Kasbahs. 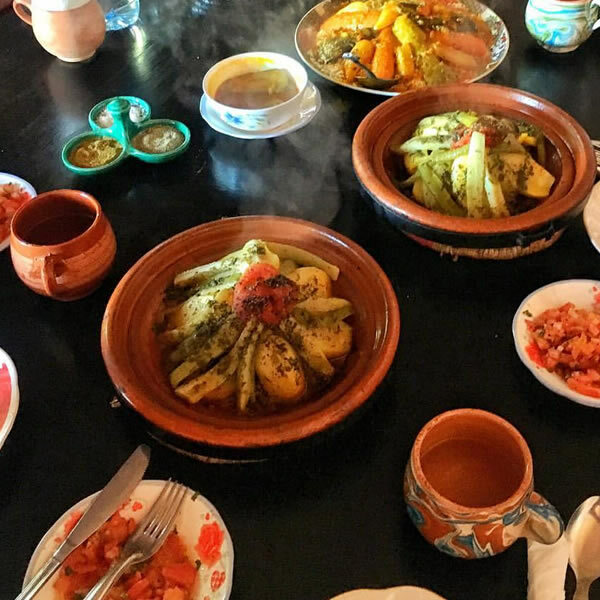 We cross Ouarzazate and stop for lunch in Ait Behaddou village which is famous for its UNESCO World Heritage Kasbah. We drive the rest of the time through the high Atlas Mountains via Tichka pass. Arrival in Marrakech at the evening.